KARACHI: Sindh government has decided to surrender the services of Sindh IG Allah Dino Khawaja to the federal government and has recommended three names in his stead. The provincial government sent a letter to the federal government on Friday surrendering the services of IG Sindh; the letter also include the three names recommended for the post. 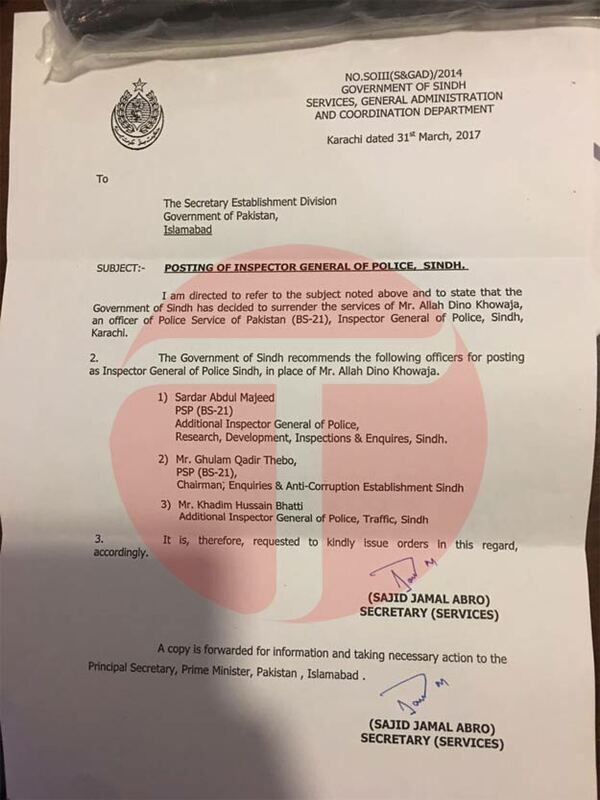 “I am directed to refer to the subject noted above and to state that the Government of Sindh has decided to surrender the services of Mr Allah Dino Khowaja, an officer of Police Services of Pakistan (BS-21), Inspector General of Police, Sindh, Karachi,” the letter by Sindh Secretary Services Sajid Jamal Abro read. The three names recommended in the letter are Additional IG Research Development Sardar Abdul Majeed Dasti, Chairman Anti-Corruption Ghulam Qadir Thebo; Additional IG Traffic Khadim Hussain Bhatti. 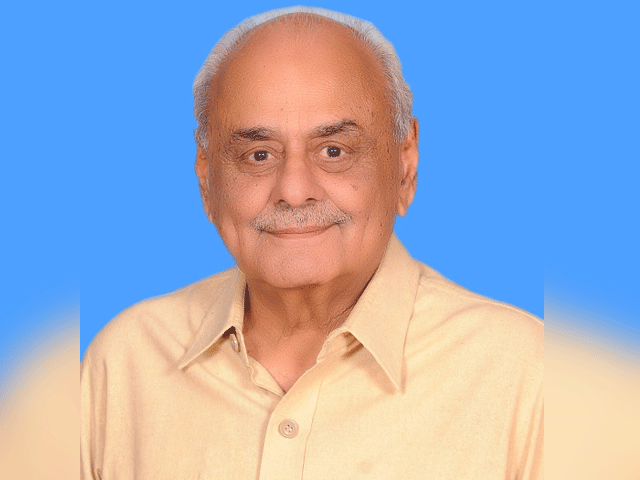 Meanwhile, Sardar Abdul Majeed was appointed as the acting IG Sindh on Saturday. AD Khawaja was appointed as IG Sindh Police in March 2016 in replacement of former Sindh IGP Ghulam Hyder Jamali. On December 19, 2016, Khawaja was sent on forced leave by the provincial government while the responsibilities of the IG Sindh were handed over to Additional IG Karachi Mushtaq Mahar. A few days after the controversy, criticism from civil society and a stay order from court forced the Sindh government to reconsider its decision and AD Khawaja was asked to resume charge of his office. The PPP’s government had sent the top police official on ‘forced leave’ due to differences on multiple issues relating to recruitment, appointments, transfer and postings in the Sindh police.